Cyn: I want some cookies! 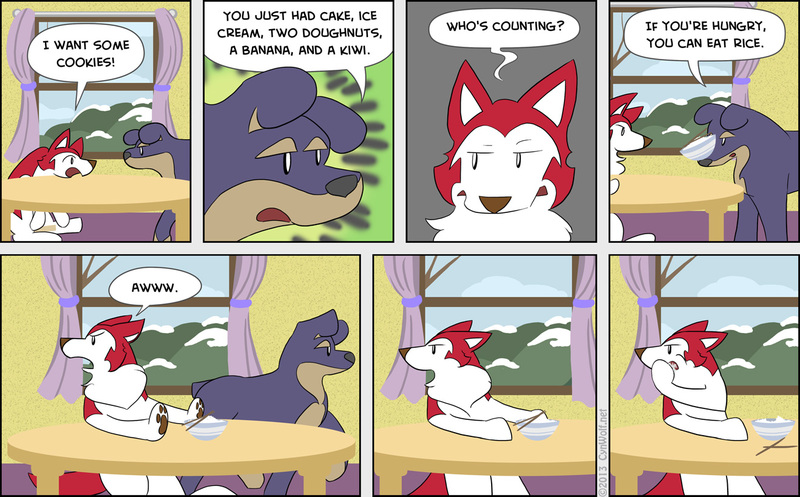 Argent: You just had cake, ice cream, two doughnuts, a banana, and a kiwi. Argent: If you’re hungry, you can eat rice.